Choosing a nice and secure wallet is a big factor if you’re trying to invest in bitcoin or cryptocurrencies in general. New people in general usually simply just open up the Google PlayStore or the Apple AppStore and do a search for “bitcoin wallet” and choose probably the first app that comes out on the list. Unfortunately, not every single one of the wallets with the most downloads are actually good. Here are 4 bitcoin and cryptocurrency wallets you should NOT use. Both available on Android and on iOS; looking at the screenshots of the app, Freewallet doesn’t actually doesn’t look bad, also knowing that their wallet actually supports more than a dozen coins and tokens. Unfortunately though, Freewallet doesn’t give you access to your wallet’s private key(s). Instead, they let their users use a username and password login instead. That alone should be a red flag, due to them having total control over your private key(s), and them being able to revoke access to their user’s funds if they wanted to. FreeWallet has been getting A LOT of complaints on Reddit. Funds getting locked in left and right, with no response at all from the wallet’s support team. That alone should be enough information for our readers to not download Freewallet. Alright. Exchanges technically aren’t wallets. But they do give you wallet addresses for multiple coins/tokens for you to deposit your funds. Unfortunately, some people actually use exchanges as their wallets due to the huge selection of coins/tokens and for the convenience of them being able to buy and sell their coins/tokens easily. Cryptocurrency exchanges should only be solely for exchange of coins/tokens to fiat and vice versa. Why? Simple because of the reason that exchanges are a very hot target for hackers. If ever a hacker or a group of hackers successfully stole funds from a certain exchange, there’s a good chance that they’re going to get away with it. Most exchanges like Binance seems to be secure enough, but take note that nothing is unhackable. Yes, even Google is theoretically hackable(though it’s going to be a lot harder for sure). Even the #1 bitcoin exchange of 2010 to 2014, MtGox, got hacked; losing approximately 800,000 bitcoin while the hacker(s) are still pretty much unknown. We definitely have nothing against Coinbase. Actually, huge props to them for creating one of the best(if not the best) platforms for buying and selling bitcoin, ethereum, and a few others. Yes, you can freely use Coinbase as a wallet; but Coinbase unfortunately still falls under the exchange category. To put it simply, just like with any other exchange, Coinbase has access to your private key(s), and you don’t. Coinbase being a centralized entity, they could simply lock up your account if they want to, or if a certain government entity told them to; due to multiple possible reasons like you being accused of money laundering and other similar crimes. After buying some bitcoin or any other coin on Coinbase(or any other exchange in general), simply move out your coins over to your own wallet immediately to prevent certain problems from happening. We’re definitely not saying that all new wallets being developed are bad. But the thing is, there are some wallets out there that are simply made to steal your funds. If you see a new wallet on some forum or on an advertisement, make sure it’s open source, and wait for it to have enough legitimate reviews. Just to make sure that the wallet is indeed secure enough, and that the wallet’s developer has no bad intentions. Play it safe. Wallets like Electrum might not have the best user interface aesthetic design, but you’ll be sure that the wallet is safe to use. Regardless of how great a cryptocurrency-related service is, and how great the company that provides that service is, always make sure that you’re the only one who has access to your private keys, and that’s only stored non-digitally, on pieces of paper. 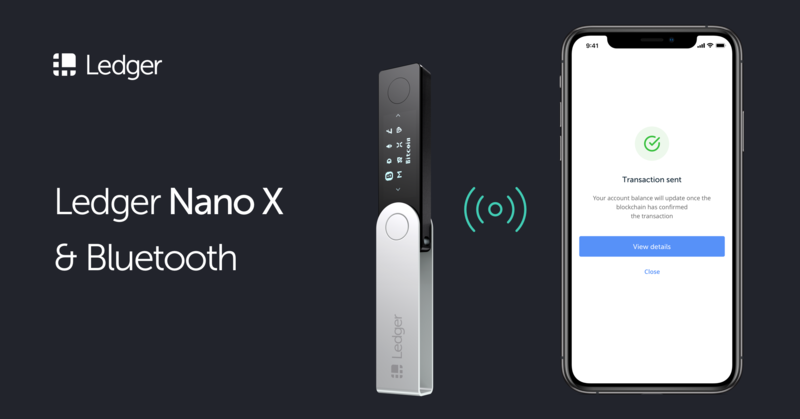 If you hold significant amounts of bitcoin or cryptocurrencies in general, get a hardware wallet. ASAP.